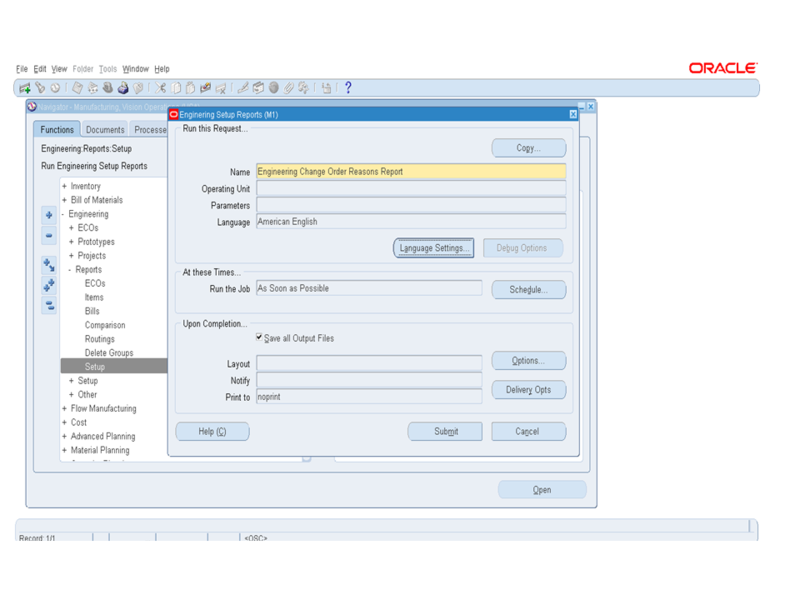 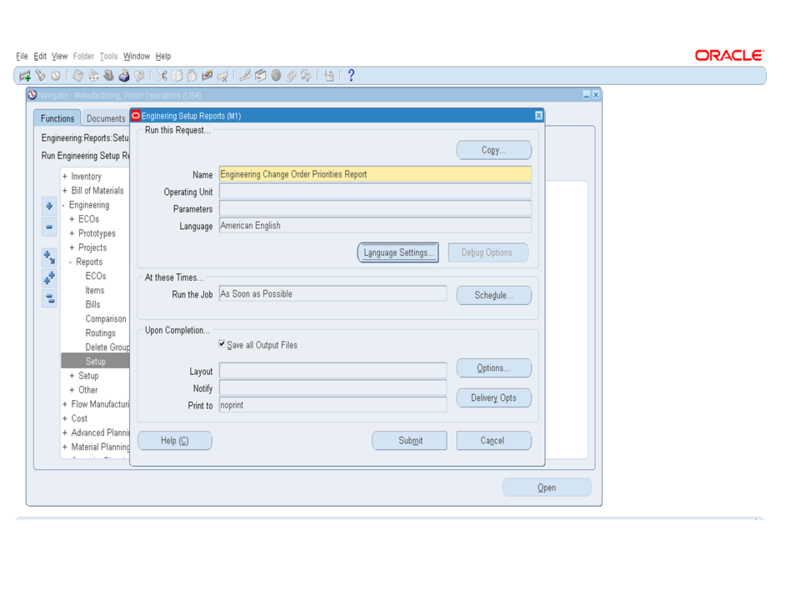 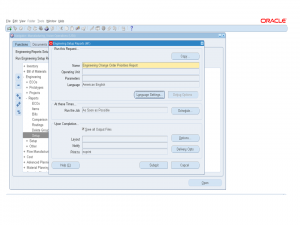 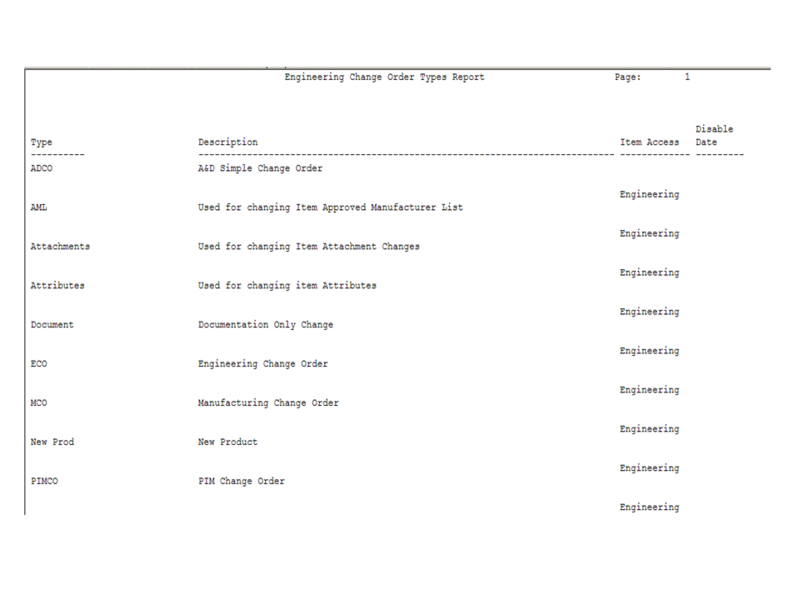 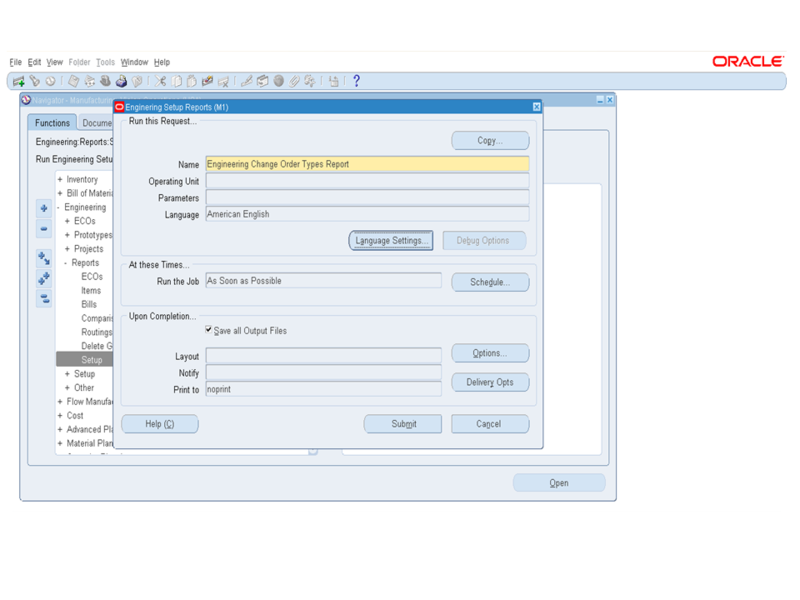 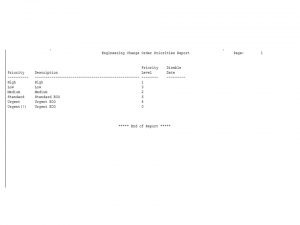 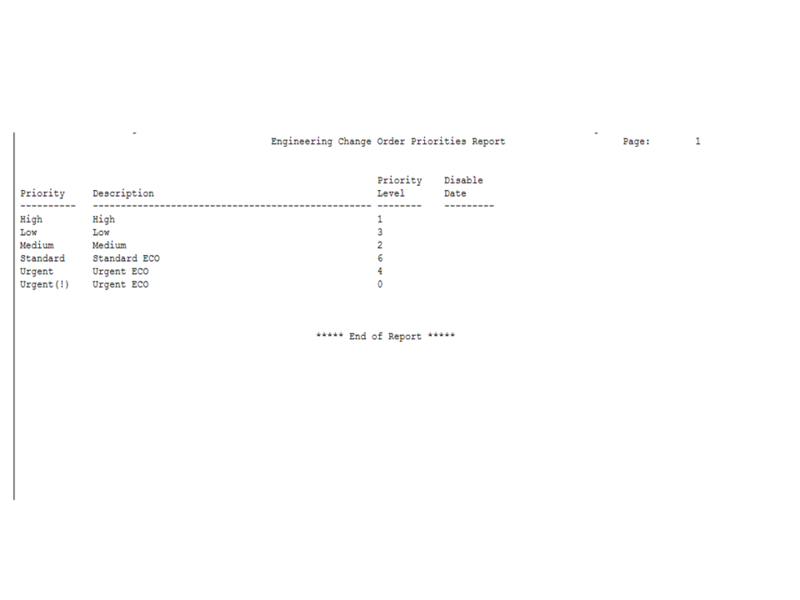 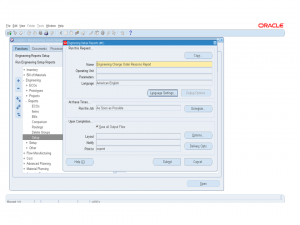 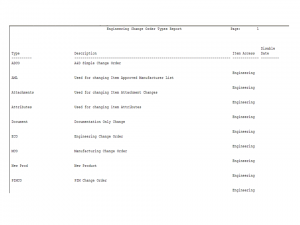 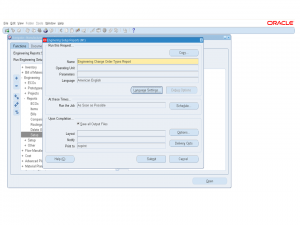 Report Summary: Engineering Change Order Priorities Report prints all the priorities setup in Oracle Engineering. 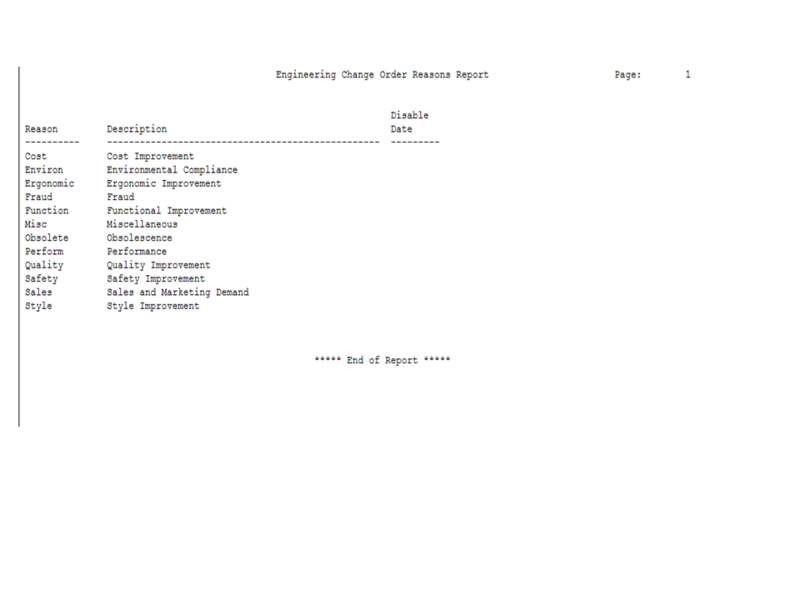 This report has no paramters. 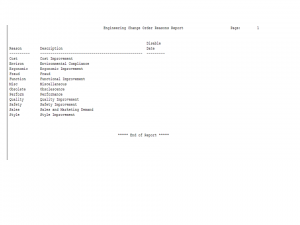 Report displays all the setups defined for ECO Priorities.